Project 7: Breakout is the game I am currently working on. 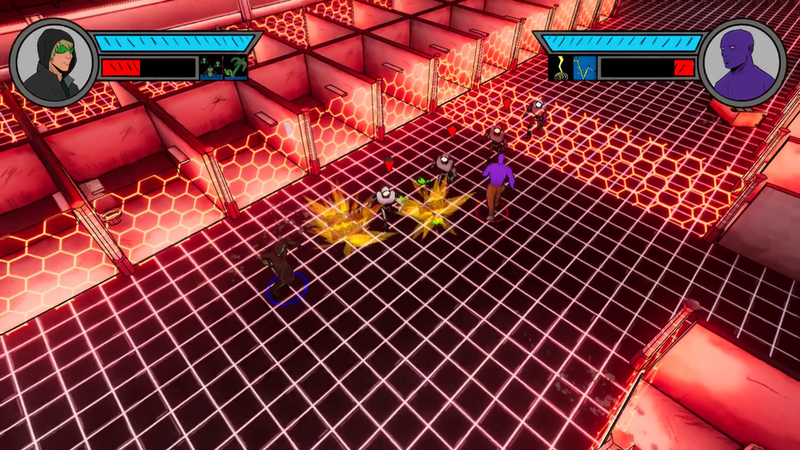 It is an action beat-em-up style game with a comic book inspired art style. You play as two superheros either by yourself or cooperatively with a friend to escape a high security prison. The game features two playable characters different sets of abilities, one character has more gadget / tech based abilities while the other has a variety of power sets he switches between over the course of the game. Project 7: Breakout is now available to download on itch.io! The current build is the version of the game that was presented for our final presentation in class. We are currently working on polishing some things up before BostonFIG.